Established September 15, 1928. Affiliated with American Dental Hygienists' Association (ADHA) in 1929. Eighteenth state in the nation to become chartered with ADHA. Interested in nominating a MDHA Member Dental Hygienist to be highlighted on our website and social media? Email us and share a short paragraph about your nominee! 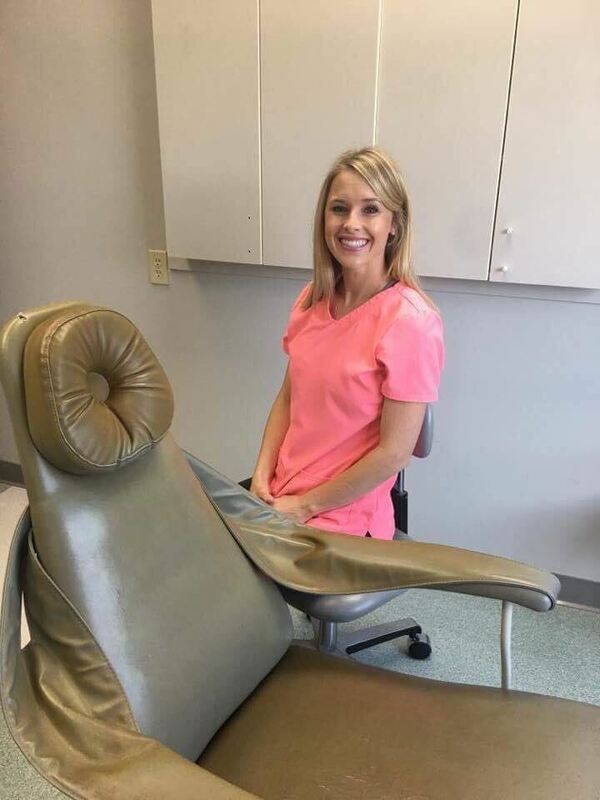 Lauren Michelle Williams, RDH (Registered Dental Hygienist for Andrew Achord, DMD at Achord Family Dentistry in Flowood, MS). "I work for Andrew Achord, DMD at Achord Family Dentistry in Flowood, MS. I'm 28. I have a three year old son named Brooks. I live in Brandon, MS and grew up in Meridian, MS where I graduated from Clarkdale High School. I've also been a member of the MS Army National Guard for a little over 10 years." "I was in Allied Health in high school and knew I wanted to do something in the healthcare field, but after shadowing several positions, I knew I didn't want to be in a hospital setting. My mom is a dental assistant, so I decided to shadow in a dental office. I thought what the hygienist did was really interesting, so I decided to pursue that for myself." "I enjoy helping patients be more proud of their smile, and I love watching a patient's progress over time after raising the dental IQ with patient education." 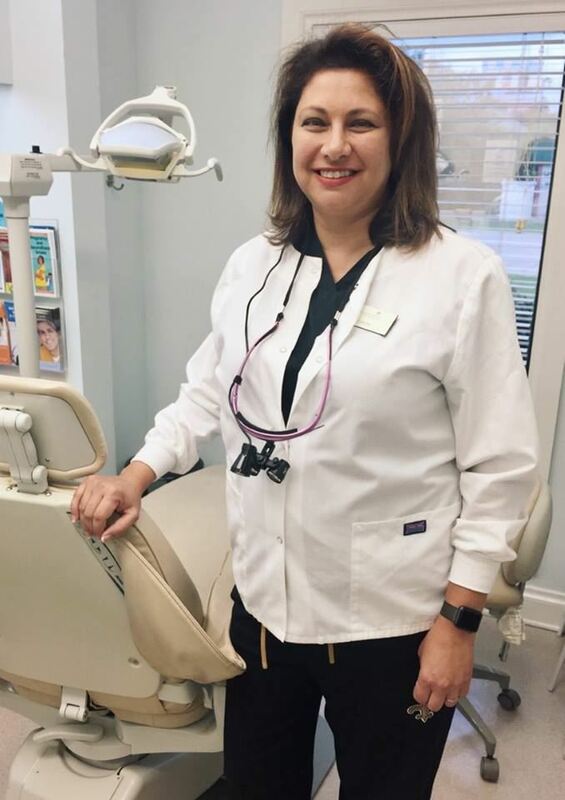 Linda has over 25 years of experience in clinical dental hygiene and has been with Beach View Family Dental for 15 years. After graduating from the University of Tel-Aviv, Linda became licensed to practice in the State of Israel, the Province of Ontario, Canada, and Mississippi. Linda is an active member of the dental hygiene community on the local and state level. She served as President of the Gulf Coast component for 5 years. She also served as treasurer and President of the Mississippi Dental Hygiene Association in 2007. She is a member of the International Congress of Oral Implantology and the American Dental Hygiene Association. She is also a consultant member of the Commission on Dental Competency Assessments. 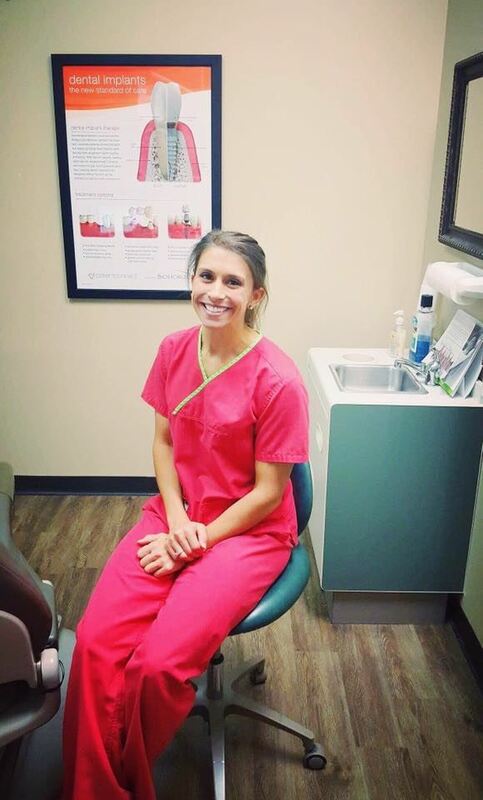 "I graduated in 2013 from Pearl River Community College and have been a Registered Dental Hygienist for 4 years now. I am happily married to my husband, Dale Gollott, for 5 years and we have 2 beautiful daughters; Annabelle and Caroline. 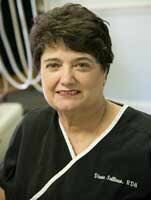 I work for Dr. Germaine Gottsche, DMD, at Shearwater Dental located in D'lberville. Besides working full time, I am busy being a mom and wife. I love watching my oldest daughter play sports, which she is so passionate about. We also love to travel as a family! We enjoy going to New Orleans during the fall to watch the Saints play football and also to just take our kids to a city we love! I am a member of the Junior Auxiliary of Biloxi-Ocean Springs. This organization is so dear to me. Growing up in a large family, we never got to have "new" things. It was always hand-me-downs. We never complained. We wore those clothes/shoes until they were worn out. So now being an adult and able to give back to our community, it's so rewarding. Something as little as getting a new pair of shoes puts a smile on a kid's face. It makes your heart happy!" "Good question. It all started with getting a job after Katrina at a dentist's office. I was hired as front desk receptionist, but soon after would work my way into sterilization and then end up as an assistant. I would help the hygienists chart perio charting and whatever else they needed. After working with the RDHs, I soon wanted to become one. It quickly sparked my interest. Janet McMurphy and Tracie Miller soon became my mentors. I wanted to assist them any chance I was given just so I could see what all goes on during a cleaning or during perio procedures. After learning so much about dentistry while being an assistant, I made a decision to pursue my career as a RDH." "Gosh, so many things make me happy about working in the dental field. I love talking and getting to know my patients. For most older patients, this is their outing. This is what they look forward to, getting their teeth cleaned and chatting with me. I can remember one incident that really touched my heart and shed some tears years ago as an assistant. A lady in her mid-forties told us that she didn't like to smile. We asked why. She said she can feel people staring at her teeth and also had a little kid make fun of her front teeth, #8 and #9. They were tetracycline stained. She was not able to afford crowns or veneers, so the dentist bonded over her stains. When she saw her smile for the first time afterwards, she burst into tears. She thanked us so much and could not stop smiling. Those tears of happiness and her boost of confidence let me know I was in the right field, dentistry." "My favorite quote is from Steve Jobs. You truly have to love your job to do your best in it." "I received my Dental Hygiene Undergrad from Mississippi Delta Community College in 2007. I received my Bachelors of Science in Dental Hygiene via online through The University of Mississippi Medical Center in 2014. I will pursue my Masters Degree of Science in Dental Hygiene this summer through The University of Tennessee Health Science Center. I'm married with two small children, Will Duncan and Lela. I have been practicing dental hygiene for ten years. I currently live in Leland, MS."
"I had a lot of dental appliances growing up. I wore 3 sets of braces. Dentistry always caught my attention. 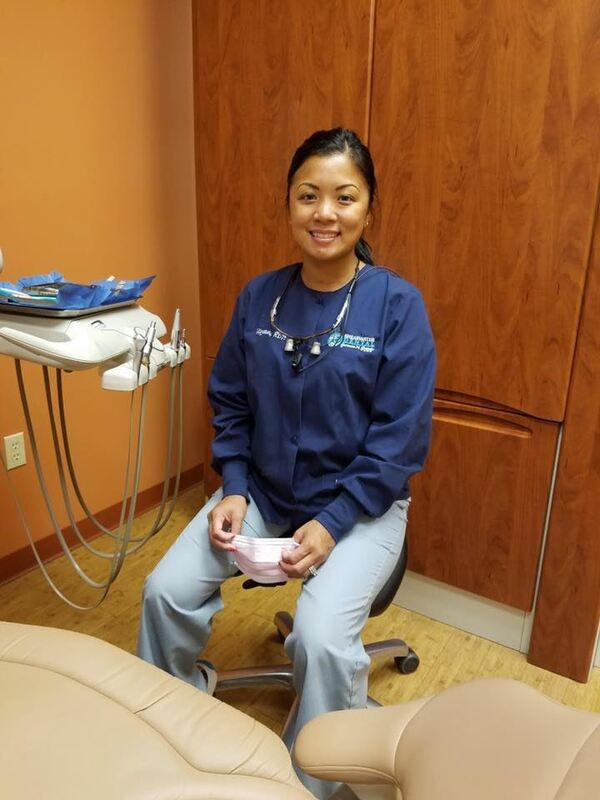 My dental hygienist in high school and college had a big influence on my decision to become a dental hygienist." "Helping people become more confident about their smiles is what makes me the happiest." "Finally, all of you, be like-minded, be sympathetic. Love one another, be compassionate and humble." Diane Tickle Sullivan, RDH, is our very first dental hygiene spotlighted member! "I received my certificate in Dental Hygiene from the University of Tennessee, College of Health Related Professions, School of Dental Hygiene in 1971. In 1974, I saw a need for patients to receive treatment for the "Deviate Swallow". I completed a postgraduate course of study in the "Diagnosis and Treatment of the Deviate Swallow" at The Institute of Myofunctional Study in Coral Gables, Florida. Only a few dental professionals are certified in Myofunctional Therapy even though research in Orofacial Myofunctional Therapy has been around since 1978. I am a member of The American Dental Hygiene Association and The Local Component. I am married to Ken Sullivan, Enrolled Agent, Tax Professional, and Real Estate Broker. We were blessed with two beautiful daughters, Jill, Doctor of Veterinary Medicine, and Catherine, Registered Nurse, and four precious grandchildren." "I got interested in dentistry thanks to our family dentist and friend when I was in high school. He was talking to me about what I wanted to do after graduation, where did I want to go to college. I told him I wanted to have a career in the medical field, as I knew I didn't want to be a secretary or teacher. He suggested that I talk to his hygienist, who was also a friend, about hygiene. She expressed to me how she enjoyed her career and how she was able to work her schedule around her children's activities so she could be involved with them." "Working in the dental field is very rewarding to me. I enjoy my patients and feel like they are family. I have shared in their excitement of receiving a call while in my chair that they were just approved to adopt a beautiful little Chinese baby girl, being at the airport when they left to get their daughter and seeing that precious baby when they arrived back to Jackson. I have seen the children grow up, attended their weddings, and shared in the excitement of the birth of their children. I had a woman that had stain on her teeth, and it was so rewarding to remove the stain, hand her a mirror and see her smile from ear to ear to see the stain gone, and then I talked to her about using some bleaching strips to help whiten her teeth a little more. I've received cards and letters from patients thanking me for being compassionate and caring about their dental health or just listening to them talk about whatever may be on their mind. I have sent cards to patients just to let them know I was thinking about them or to wish them Happy Birthday. I have had patients give me tips, invite me to go to lunch or dinner with them, or join them for coffee at Starbucks. I truly love my profession and enjoy working with my patients and developing personal relationships with them."